Olivier Dupon, author of several books all published by Thames & Hudson met with Raliegh Goss in charge of developing Star Diamond Private Jeweler on the London luxury scene. The exclusive diamond brand: STAR DIAMOND opened its doors in April 2014 in all secrecy right in the middle of the city. Explanations on the how, why and where ! In the fashionable centre of London, via a swanky elevator that leads you to an upper floor, after you pass a set of high security doors and gate, you can finally step onto a lush pearly grey carpet as you enter a light-filled showroom. The word does not do it justice: it feels more like a contemporary boudoir or a very stylish room straight from an AD magazine spread. Metallic hues, rich textures and arresting artworks on the walls beautifully complement the high column glass cases that display Star Diamond exquisite collections and loose rare stones. Star Diamond Private Jeweller opened this ‘Gallery’ in April 2014. The Star Diamond Group, having been a diamond trader for over 60 years, had unsurpassed knowledge and excellence in diamonds and particularly coloured diamonds. They decided to open this exclusive private gallery where ultra net worth individuals are able to come and use the space and feel comfortable whilst viewing or purchasing some of the world’s rarest stones. The idea was to offer a new business model that is in between the B2B and retail platform whilst offering to educate and pass honest prices onto their clients, and by all means, this is a premiere in the tight-knit world of haute joaillerie, we can all get enthralled about. 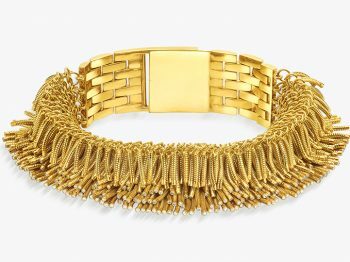 Olivier Dupon, spent a few hours with Raliegh Goss, the Jewellery Operation’s manager trying to stay in ‘interview mode’, while handling some extraordinary pieces that could well leave you speechless. What are challenges of a b2b approach? There are advantages coming from a business to business company in that we hold a large stock of coloured and colourless (white) diamonds, having the ability to have the knowledge of the value in diamonds and most importantly that we are closer to the source, meaning we cut out the middle man and simply do not apply the margins a High End Bond Street Jeweller would. What makes colored diamonds “your thing” ? Coloured diamonds are a part of our heritage and DNA, due to the fact that coloured diamonds are becoming more and more scarce there is naturally a high demand for them and with their values increasing from day to day we pride ourselves in using these rare diamonds. 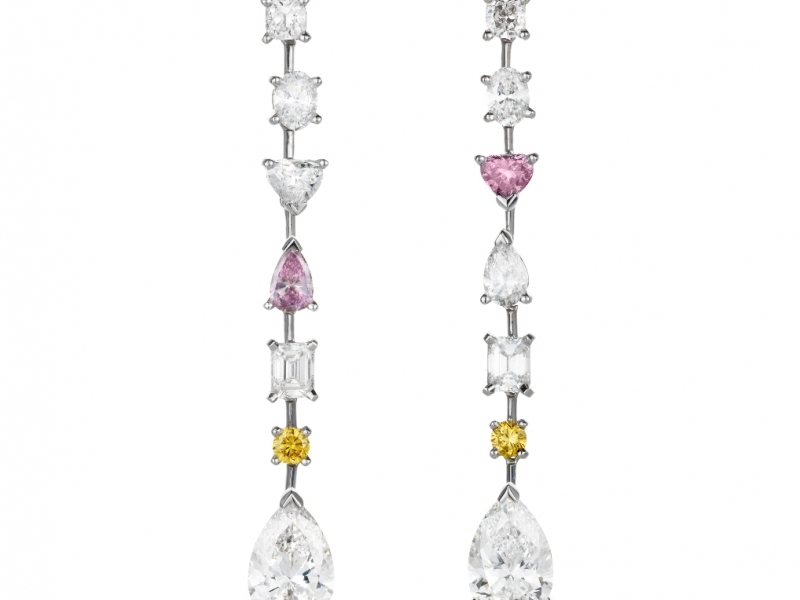 Did you know that there is roughly one coloured diamond found to every ten thousand colourless diamond? People tend to call these diamonds white but they are in fact colourless diamonds. A white diamond is rather rare and not often seen within the market. How is a star diamond positioning itself next to the other brand? Value – Market research indicates a growing appetite for affordable luxury. While traditional fine jewellers charge inflated prices, Star Diamond makes it possible for consumers to purchase high quality, uniquely designed pieces at reasonable market rates. In addition to offering fine jewellery, the company also offers the ability to purchase diamonds and other jewels directly as an investment, another major distinguishing factor to other high-end jewellers. Was it always a wish to position Star Diamond as a high-level brand before launching an access line? (e.g. The astraeus collection)? Star Diamond has always positioned itself at the high-end spectrum of the market, after years spent of acquiring important diamonds and layouts it seemed only natural to use these diamonds for some exquisite jewellery pieces. 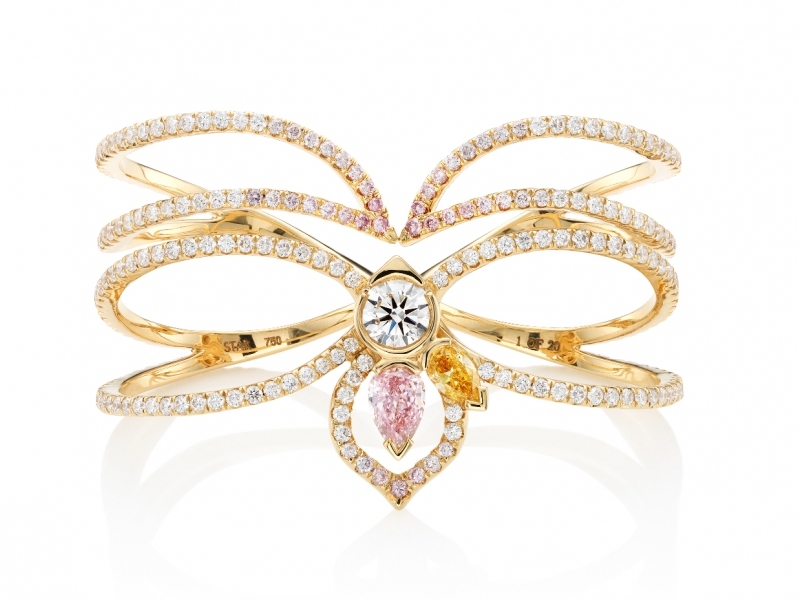 The high-end pieces were naturally belonging to Star Diamond and it later decided to launch a new diffusion collection. This was really to enable jewellery collector and aficionados to buy into the brand at a much more affordable price point, but still using coloured diamonds. How will you reconcile your by-appointment approach with the necessity to expose the brand? It is really quite clear, when purchasing investment grade diamonds and high-end jewellery with a certain price tag, we believe the experience counts. People do not wish to have onlookers when purchasing at such high prices, they need to feel the security and comfort in their surroundings. With the diffusion collection, there is a certain price point that enables a different client to purchase these diamonds, but might not want to go to the trouble of entering such a space and would like to purchase easier. We would have our diffusion collections in concessions around the world. How many collection do you design per year? 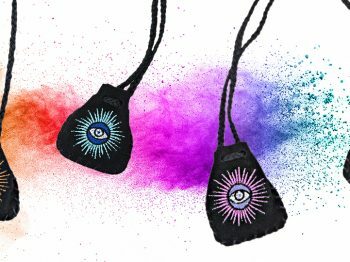 The Company will be releasing 2 diffusion collections per year, along side this, one off pieces will be designed but these can be sporadic and depend on the diamonds. Some one-off pieces take several months to design and make. Bespoke design for clients happens on a regular basis in the gallery, this can come from a diamond purchase and or a design they dream to have. 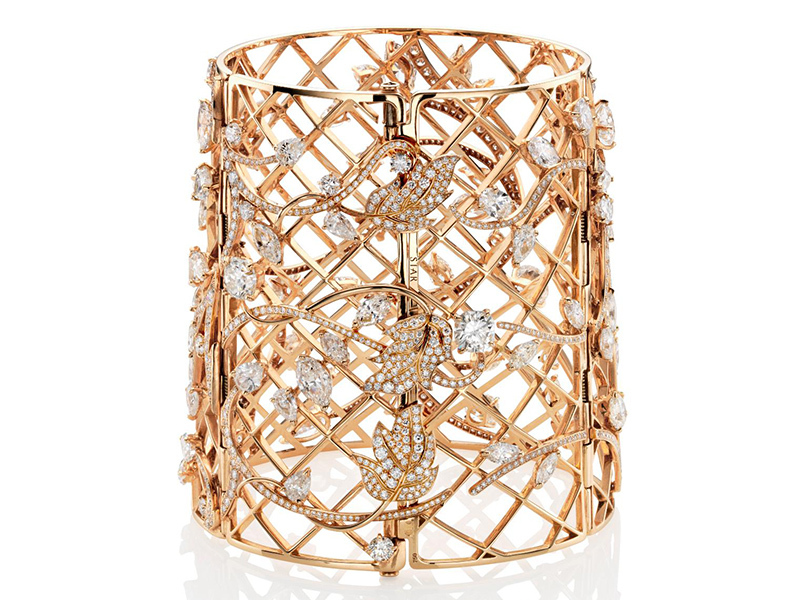 Can you break the rules of traditional jewelry? Of course it’s possible, sometimes I see diamonds and I get inspired by them and start to think, the thinking then turns into a small doodle or sketch. You have more freedom to do this with a bespoke piece and if you have a beautiful collection of diamonds you start playing with. Does Star Diamond have a british DNA? I don’t believe so, I can be a little creatively wild sometimes but I think that’s just a flare someone can have in them. The response from this collection has been great in the sense that it has a design that caters for many cultures. I am very British myself but I grew up in the South of France and Ibiza, I guess I would have a Mediterranean flare to my thinking, I now have a holiday home on an island in Greece, and I love their culture. 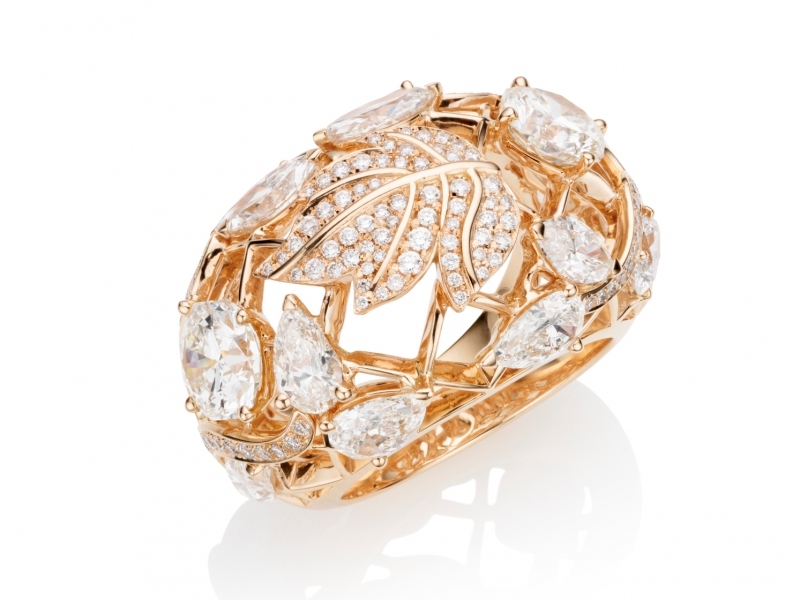 How has the Star Diamond style changed since its inception? Funnily enough since Star Diamond opened its gallery the signature has always prominently been the coloured diamond. 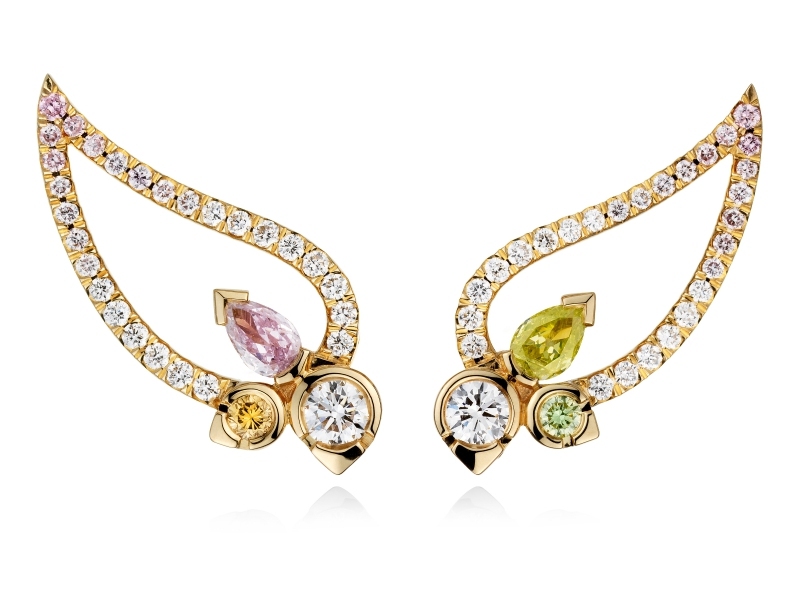 We plan to make the coloured diamond diffusion collections our true signature. 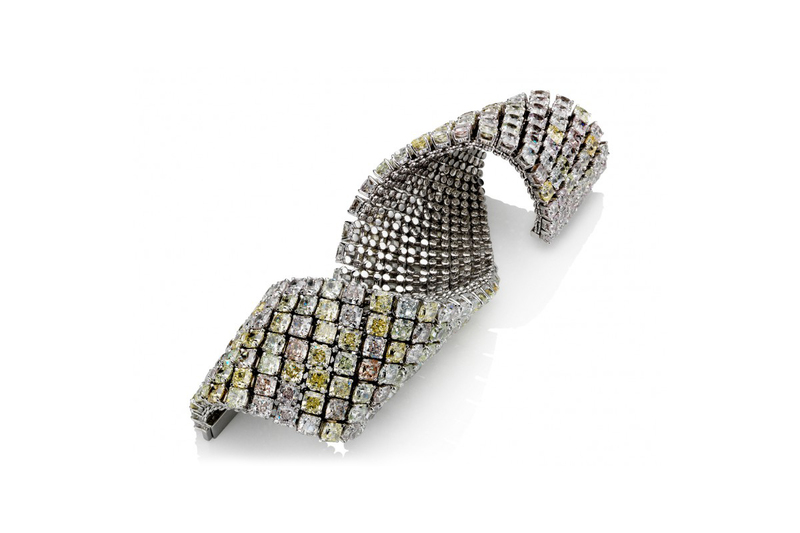 Coloured Diamonds and important diamonds of extreme importance are our signature. Is there a specific technique in crafting your jewelry? Because I entered the jewellery world as a goldsmith I have also loved and cherished the manufacturing part. My favourite technique would be the transition of the piece starting from the cast item, the filing and then the polishing. The transition is so satisfying and seeing the rough gold alloy turn into this soft polished rich gold is just amazing. 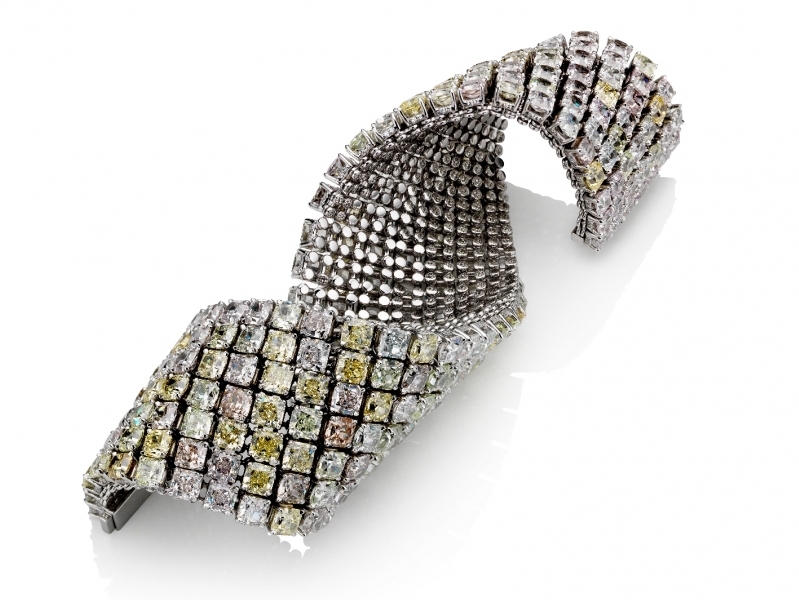 What piece of jewelry represents best Star Diamond style? 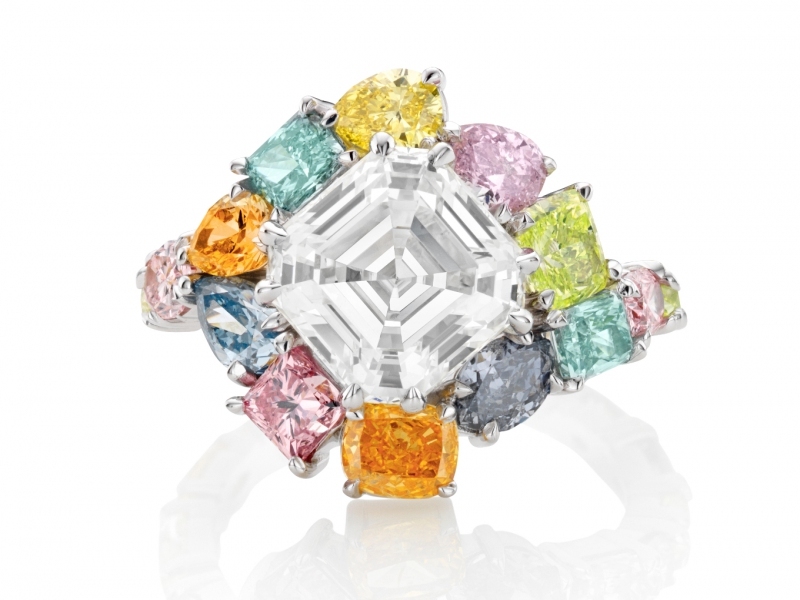 It would have to be the Star Ring, or the Giverny. The Astraeus falls under the same section. 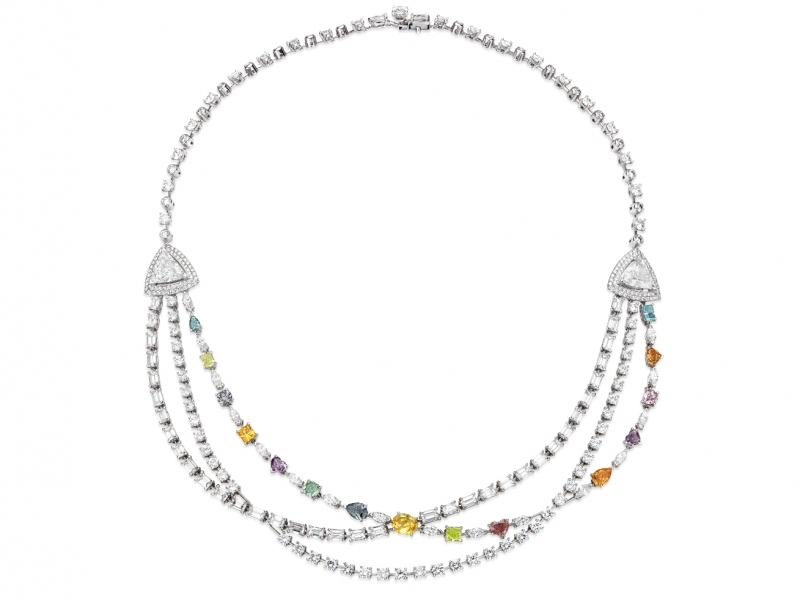 The combination of incredible coloured stones with a contemporary elegant design. 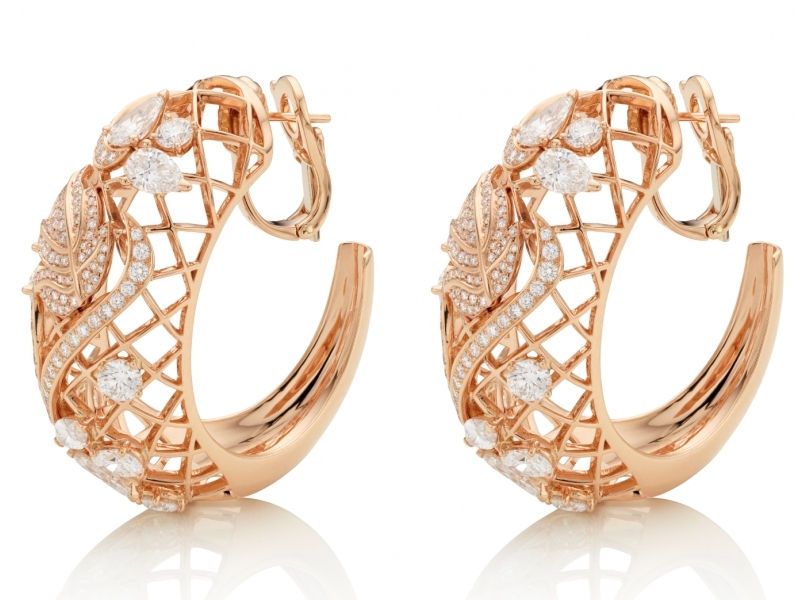 Jewellery is so particular and more often than not women will instinctively know what kind of jewellery they like. Most importantly you must go with your gut and heart, when you fall in love with something make it yours. Of course it is important to know that the piece is and where the components come from. We aim to become the new generation private jeweller, creative diamond and jewellery house that is recognised for its design, signature and honest pricing. We envision us opening further galleries around the globe in the next five year. Winston always adored the finesse and ethereal allure of the feminine beauty, which he believed, was perfectly complemented by the right piece of jewelry and made it his personal mission to bring together matter and spirit to cater to the expensive tastes of rich socialites. In his creative journey Harry Winston revolutionised the jewelry concept of the diamond ring and redefined the engagement ring. He offered a taste of something very different to the traditional wedding rings with timeless elegance and sculpted beauty encapsulating the essence of the most important moment of a couple’s journey through life together.